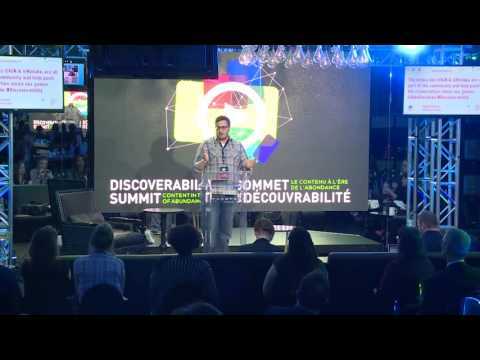 In a world of choice… in the age of abundance… discoverability is key. 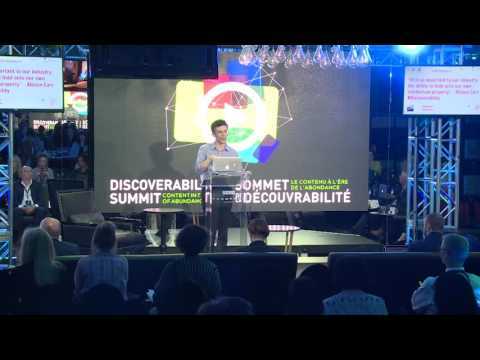 Did you miss the Discoverability Summit? Watch all the videos from this event here! 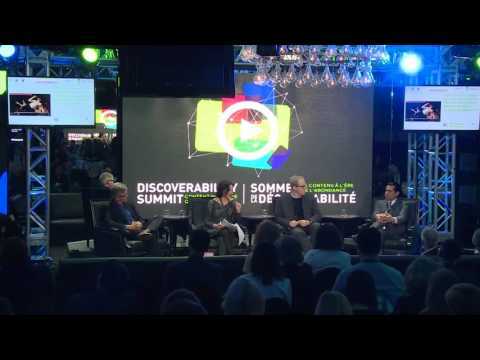 The CRTC’s Discoverability Summit is a forum for content creators and producers, technology experts, and great minds in entertainment and analytics to get together and explore the new ideas, new technologies, and new partners in an age that’s transforming the way we communicate. In a time of Internet overabundance, we are bombarded by content, and we need to revolutionize communications to build our audiences. 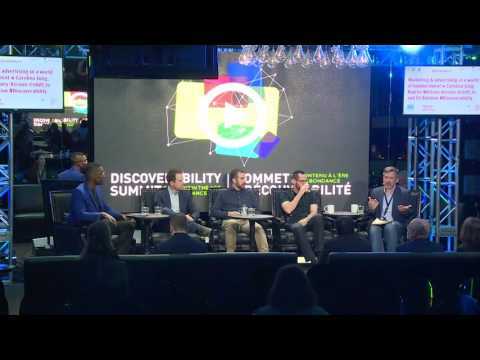 Experts in breakthrough technology and ground-breaking projects demonstrate how using new accessibility techniques and platforms can help you find your niche. The masters of enriched content and storytelling magic explain how to hold and build audiences with compelling new realities in branded entertainment. 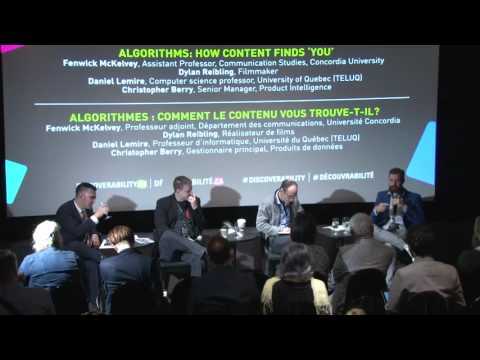 Are we promoting Canadian content through deep-learning algorithms? 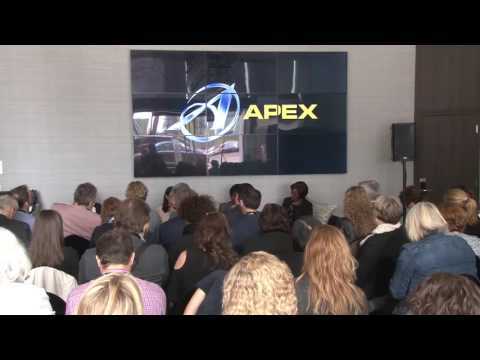 Has viewer engagement changed the way video content is produced? 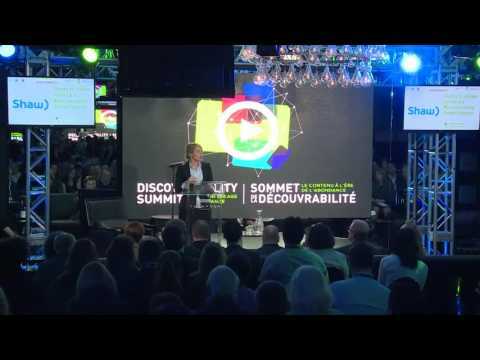 The keynote features the pivotal moments in recent history that led us to this Age of Abundance. How did we come to be bombarded by content? How did we get from “must see TV” to “there’s too much to see on TV”? Without dwelling too much on the past, the keynote sparks the conversation, raises key points and encourages you to think outside the box. 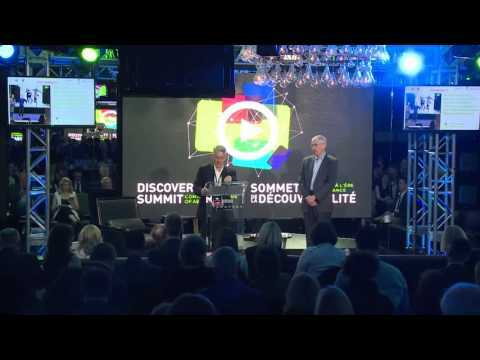 While you may be left with more questions, providing no answers, this is the perfect start to the Discoverability Summit! 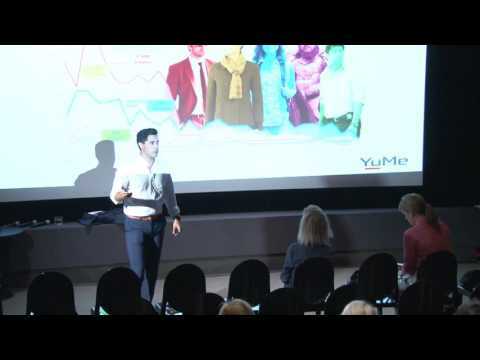 Eli Batalion, Co-Creator of web series YidLife Crisis and head of eMerge Enterprises Ltd.
YidLife Crisis is a unique online series. In this case study, Eli Batalion describes its origins and how it has evolved over the past few years. Topics include: understanding (niche) audiences through platform analytics, going after different sets of audiences and the interplay between bridging these audiences digitally and in-person, the growth of a creative process as the series receives more audience feedback, and what it means to use a web series as the flagship content of a homegrown brand. Do vampires get their periods? Toronto-based production company Shaftesbury/Smokebomb and brand agency shift2 teamed up, with feminine care brand U by Kotex, to answer that question in their hit YouTube series Carmilla. The award-winning digital series puts a modern spin on the classic cult vampire novella by Joseph Sheridan Le Fanu and has generated 50 million views and counting. 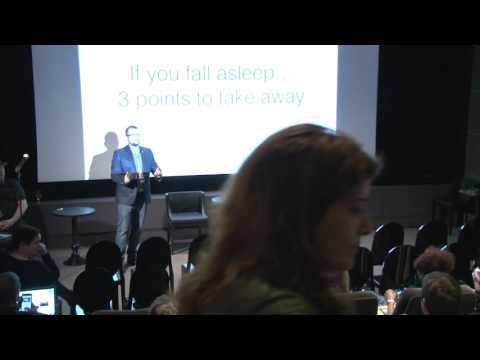 In this case study, Jay Bennett explores how to build an audience from the ground up, the rules of brand engagement, and the power of branded entertainment. With greater access to and desire for on-demand content, audiences have become fragmented across many different platforms. Do ratings truly capture the popularity of a song or a show? How do we measure success in an age where ratings don’t capture overall views of content? And while certain shows may deliver the numbers, they don’t always deliver the “buzz.” This session focuses on how the definition of success has changed now that ratings don’t always equal popularity. Library shelves and museum warehouses are stacked with history. But what place does the Dewey Decimal System have in this digital age? 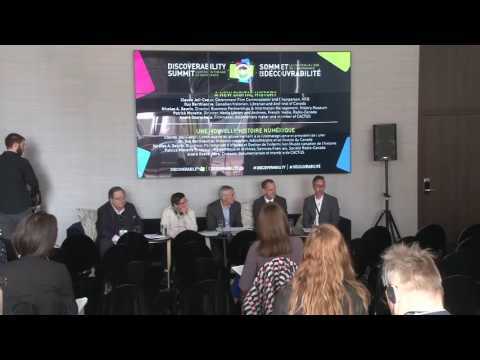 This session provides insight on how the government and public services are archiving content, news and historical facts in today’s digital world. 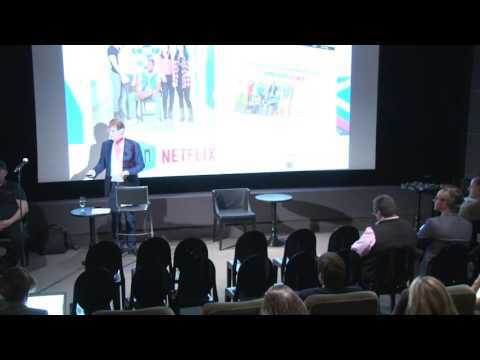 From kids content to prime-time comedy – DHX Media’s President and COO, Steven DeNure, talks about how the company works across multiple platforms to build audiences nationally and internationally. As we are being bombarded with doom and gloom on news broadcasts and online news outlets, this session focuses on how journalism is changing to meet the high demand of quick storytelling. How are stories being curated and checked among strong sources before going to air or being posted online? What are the creative storytellers doing to provide thoughtful and meaningful content that can help viewers understand world happenings, cultures and discoveries? International regulators and experts provide a tangible, results-based discussion on best practices for regulators worldwide. The discussion includes topics such as regulatory and non-regulatory approaches to discoverability, including the sharing of success, challenges, and lessons learned. Come learn and play in this digital playground! Congregate in the main hub and interact with vendors and device manufacturers and test products, all while continuing to network and engage with your peers. AFTERNOON KEYNOTE: VIRTUAL REALITY: THE FUTURE OR FLOP? 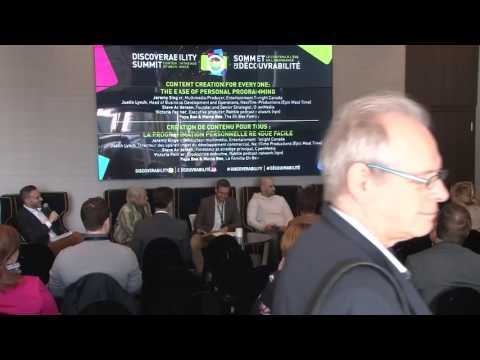 In this keynote, James Milward, winner of the first Prime Time Emmy® awarded to a VR project, describes the current state of Virtual and Mixed Reality, how it’s currently being used in entertainment and the potential of the platform in the near future. Will Virtual and Augmented Reality become a compelling and dominant platform or burst and fade away? What are the revenue streams and viability? What makes VR and AR production possible? What will it take for these platforms and content formats to be accessible and engaged in by audiences? Who will the key players be in both content and platform moving forward? Created in 2010, ICI Tou.tv was the first French-language online platform entirely devoted to TV viewing. Since its launch, ICI Tou.tv has stood out for the depth and variety of its content, as well as its wide accessibility. Its free offering remains the only French-language streaming video service on the market open to all audiences. 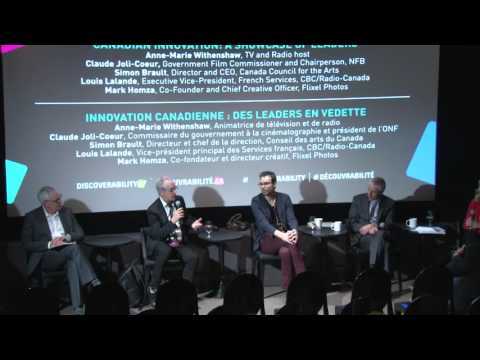 Christiane Asselin shares the ingredients that make ICI Tou.tv a leader on the French-language mediascape at home and across the Francophonie. Speaking of his path that led to the web, Jonathan Roberge gives an overview of his career as a comedian. Launching a web-series to increase visibility for his fans, Jonathan Roberge discusses his view of the web industry and his creative process over time. Now, with nearly 100,000 followers on Facebook and more than 30M clicks on all his work, this pioneer of successful web series (Contrat de gars, Vie de vrai gars, Fiston and Papa) continues to expand his universe and produce advertising and series to show the whole impact the web can have on a business. They are natives of the Internet age, the most digitally connected demographic in history, and the fastest growing consumer segment of society – millennials are different. Their social interactions, friendships and experiences are mediated by digital technologies and they’ve never known any other way of life. They study, think and interact in fundamentally different ways from generations before them and they are ALREADY reshaping media consumption of today. 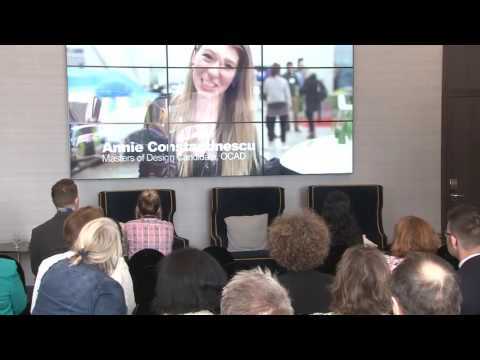 In early May, a group of Toronto school kids participated in the Youth Summit where they spent the day learning and talking about the future of content. Listen to what they had to say! Pop up banners, instant play video ads, text promotions, DIY videos and engaging contesting. With an abundance of content online, this panel dives deep into the difference between advertising, sponsored content and entertainment. They discuss what’s working and what may be the next steps for marketing new shows, new music and content to the end user. Carl-Edwin Michel, Tech and video games journalist, entrepreneur and serious globetrotter. 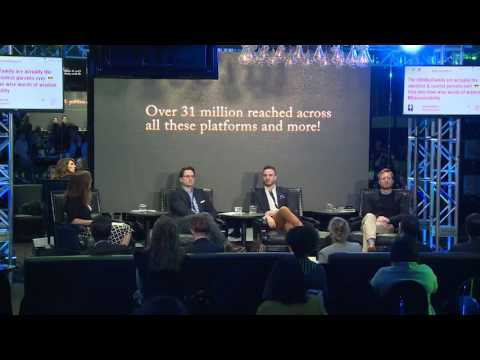 How is the gaming industry revolutionizing entertainment and content consumption? Soundtracks to video games, mobile gaming and delivery of dedicated content is big business in the gaming world. Video games are transforming into movies and becoming worldwide pop culture brands. This panel of gaming leaders discusses the platforms, infrastructure and live engagement in the world of digital fantasy. We are in an age of opportunity for unknown entertainers to find an audience and celebrity status. With access to countless platforms and devices to create content of all kinds, this session features a panel of artists who understand the momentum of online entertainment and how to stand out in a world bombarded by cats, personal opinion and easy sharable content. 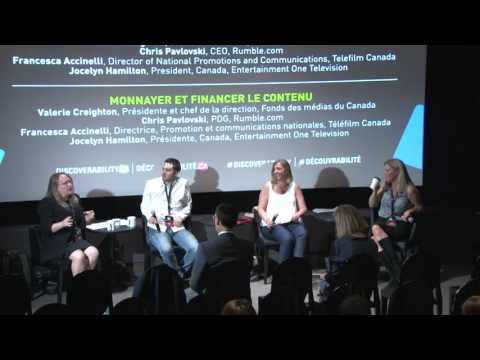 SUBSCRIPTION BASED PROGRAMMING: HERE TO STAY OR GONE TOMORROW? The record label structure has drastically changed over the last 20 years. From its sole purpose of selling albums, what is the new structure and formulation of music in 2016? How are writers, artists and producers succeeding and making money through new techniques of business and placement of their music? Do streaming services actually provide a sustainable structure? Netflix, Hulu, CraveTV, Spotify, Apple Music, Shomi and other on-demand service subscriptions are rising quickly. Consumers want to find the content they want on their schedule, but is this the real future of content distribution? This panel discussion features the pros and cons of streaming services and subscription based programming and what the future may hold. This session focuses on thought leaders who are diving deep into the notion of discoverability and making strides with creative answers. 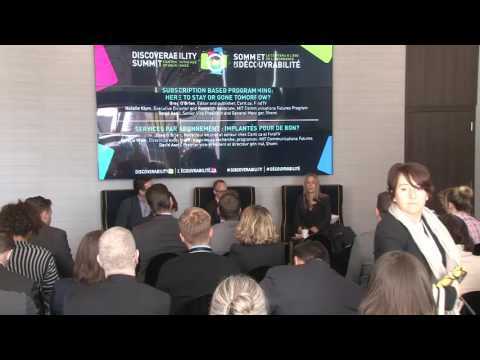 The experts discuss and show what they are doing to help discoverability with innovative start-ups, apps, tech and ingenuity. Viewers are now often encouraged to live tweet during programs and hashtags can commonly be found at the bottom of the screen. Some shows even create specific content that engages the viewer to participate and share. How has increased viewer engagement changed the way content is produced, and how important is it to the success of a project? With traditional advertising dollars drying up, how can content creators make money from a seemingly shrinking pot? How can the creation of high-quality content that is exportable and discoverable be supported in an increasingly global marketplace? Do kickstarter campaigns, embedded advertising and platforms like Rumble.com redefine content monetization in this digital era? This session focuses on examining content funding and monetization models in the context of the current international landscape. Top writing, producing and directing is the inspiration behind ground-breaking and breakthrough projects. 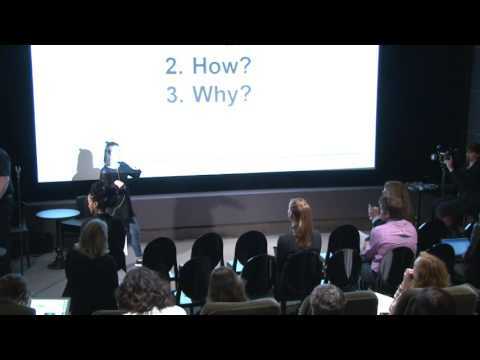 What does it take to surprise audiences? How are creative risk-takers working to push the envelope while also satisfying their network/channel partners? This session features a Canadian Emmy Award winning writer and director and the founder of a world-renowned and award-winning institute for interactive storytelling. They talk about their craft in children’s television production and audience-driven multiplatform entertainment. How are advertisers reaching cord-cutters with new targeting and creative tactics throughout emerging platforms like smart TVs and OTT devices? 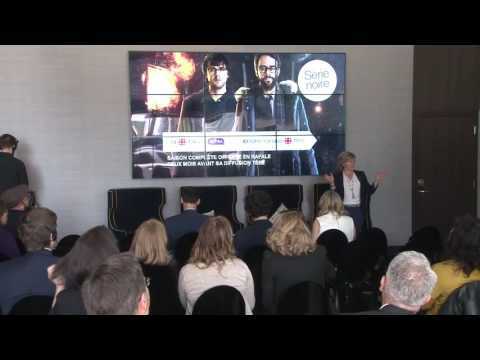 As audience behavior continues to shift towards on demand viewership, in this session we take a deeper dive into the rise of connected TVs with a research-driven approach, focusing on trends and statistics.